Don't get caught in this arachnid's web! Otherwise, you'll be prey to paralysis, poison, and pain. 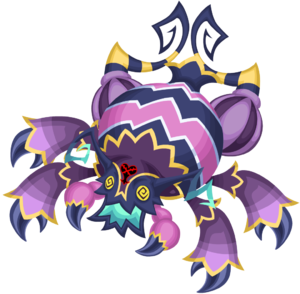 The Savage Spider is a raid boss Heartless that appears in Kingdom Hearts χ.